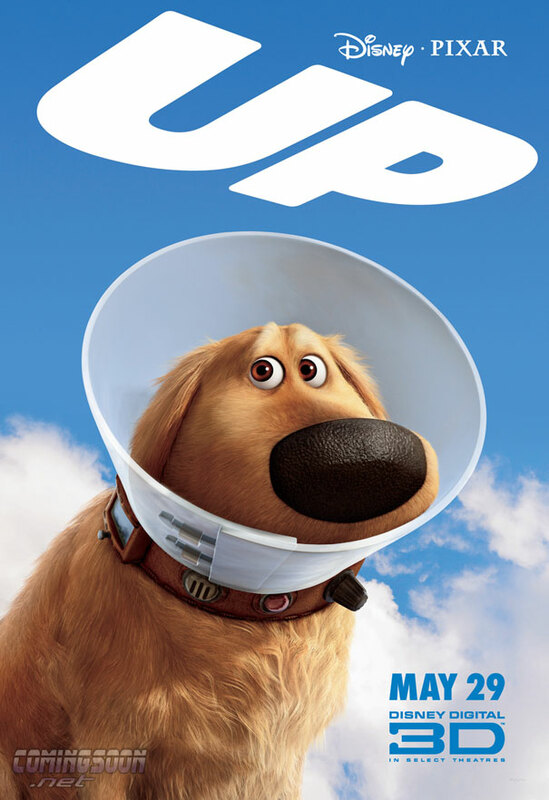 ComingSoon.net has your exclusive first look at a new character one-sheet for DisneyPixar’s Up, coming to theaters on May 29. The film will be presented at WonderCon in San Francisco on Saturday, February 28th from 3:30 – 4:30pm in the Esplanade of the Moscone Center. Also, the studio will screen the first 45 minutes! The screening will be introduced by director Pete Docter and producer Jonas Rivera on Saturday at 7:30pm at the Metreon Theatre [directly across from the Moscone Center at 101 4th St.]. Seating is limited to the first 250 guests and interested attendees are recommended to arrive at the theater early. No cameras, phones, or recording devices will be allowed at the screening, and all must be checked at the door. Up is a comedy adventure about 78-year-old balloon salesman Carl Fredricksen, who finally fulfills his lifelong dream of a great adventure when he ties thousands of balloons to his house and flies away to the wilds of South America. But he discovers all too late that his biggest nightmare has stowed away on the trip: an overly optimistic 9-year-old Wilderness Explorer named Russell. Click the poster for a bigger version! You can find two more new character posters at /Film and AICN as well.